T he number of people in Australia who follow vegetarian or plant-based diets is growing rapidly. People might choose to be vegetarian for ethical, cultural or health-related reasons. While not all vegetarians are necessarily following a healthy diet, research shows vegetarianism can have many benefits for health. One we’re learning more about is its potential to strengthen our immune systems. We’re still working out what aspects of a vegetarian diet may be responsible for this - whether it’s the lack of meat or the emphasis on plant-based foods. But we think the higher volume of foods including fruits, vegetables and legumes seen in vegetarian diets is likely to have a lot to do with any associated health benefits. What do vegetarians eat? Vegetarian diets are comprised of combinations of fruit, vegetables, whole grains, nuts and seeds, legumes and, for some, dairy and eggs. There are many types of vegetarian eating patterns, from vegan (no animal products) through to lacto-ovo (some animal products such as eggs and dairy). But each avoids eating meat. There are also a few semi-vegetarian approaches which include eating small amounts of some meats. People who primarily follow a vegetarian diet but include fish are referred to as pescetarian, while those who occasionally eat other forms of meat are considered flexitarian. Importantly, not all vegetarians follow a healthy and balanced diet. Many won’t eat the recommended daily servings of fruit and vegetables, and will consume too much junk food. But studies show that balanced vegetarian eating patterns could be good for our immune system and the related response of the body. Defending from attack Our bodies are faced with daily challenges such as getting rid of toxic chemicals and defending against nasty viruses.The immune system is “switched on” in response to these attacks. Having a healthy immune system is important, as it prevents us from becoming sick. A healthy immune system can be supported by a number of lifestyle factors including adequate sleep, healthy body weight and regular physical activity. It can also be substantially affected by the foods we eat and drink. 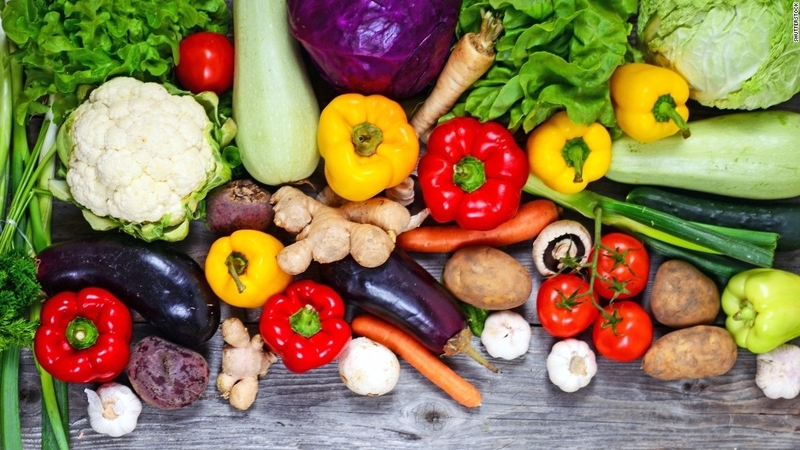 Some research has found following a vegetarian diet could improve our immune systems. People following vegetarian diets tend to have lowered levels of white blood cells, our natural defender cells. This is the case for vegetarian diets including vegan, lacto-vegetarian and lacto-ovo vegetarian. Having very low levels of these cells is not ideal as it can affect the body’s ability to fight infection. However, having just the right number of white cells within a healthy range may reduce your chances of getting sick. An added shield of protection As well as helping the immune system, vegetarian diets may also help our body with a related process called inflammation. Vegetarian diets have been shown to prevent inflammation due to the antioxidant components within the foods. Inflammation occurs when the body releases cells to attack unwanted pathogens or respond to injury. It may result in redness to an area of the body or the release of certain chemicals inside our bodies. Inflammation is a protective measure that the body uses to stay as healthy as it can. People who follow vegetarian diets have lower levels of some of these chemicals (called C-reactive protein and fibrinogen) compared to people following a non-vegetarian diet. This means people maintaining a vegetarian diet long-term are at a lower risk of getting type 2 diabetes, heart disease or even some cancers. Each of these chronic diseases is associated with increased inflammation in the body. This is shown in blood tests by increased levels of C-reactive protein, as this is a signal of systemic inflammation. The reason why vegetarians have lowered levels of inflammation remains to be fully understood. We suspect the high amount of fruits, vegetables, whole grains, nuts and seeds are helping. These foods are full of important nutrients including fibres, vitamins, minerals and compounds called phytochemicals. All of these nutrients have been shown to improve levels of inflammation in the long term and may influence the body’s immune response as an added bonus.